The following is a radio interview October 30, 2013 on KTIS that broadcasts out of Minneapolis-St. Paul, Minnesota. Ted and PK interviewed Dr. Amanda Madrid, subject of my new book, Lay Down Your Guns: One Doctor’s Battle for Hope and Healing in Honduras. Here’s a link to a site by a excellent book reviewer, Mary Whipple, of mostly non-U.S. books, a focus that I appreciate. SEEING THE WORLD THROUGH BOOKS. The Hmong community has lived in the Tulsa Metro area for more than 35 years, and sadly, this is the first such unprecedented incident. The Hmong community is shocked and disbelieved by the shooting. Due to the concern of the incident, the Hmong community leaders convened an emergency meeting yesterday (10/13/2013) to discuss what happened and how to prevent it from happening again. After some investigations, it seemed that the shooting incident was not gang related; instead it was a conflict between two families of one of the 10 Hmong clans in the Tulsa Area. “We urge the Hmong and non-Hmong communities not to be panicked by this incident and the situation is under control,” said Linda Lor, former Executive Director of Hmong Association. The meeting reached an agreement that each clan leader would go back to counsel the clan families who were involved in the incident not to take any violent action against each other, and to encourage other families to stay calm, and continue to love, and support one another. And, for future safety of Hmong events, Hmong leaders and the Hmong Association has been and will continue to work with local authorities to provide extra security in the future. While assistance to the victims is welcome, victims and families asked that their privacy be respected. 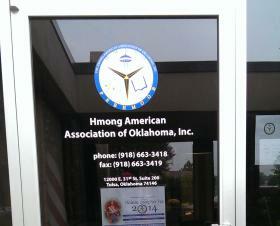 Should you have any questions, please direct them to Xiathao Moua, President of Hmong American Association of Oklahoma and/or Linda Lor. This 9:32 minute audio is Greg Taylor’s response given the morning after a shooting inside the building of the church where he preaches, Garnett Church of Christ. We chose the following media link because it more effectively shows the Hmong community response. The Hmong leader interviewed in the story, Linda Lor, had just spoken to me minutes before she was interviewed on camera and she assured me that the Hmong community is coming together, that this is a wake up call for them and for us in many ways to pay closer attention to Hmong (and all) youth, anger, forgiveness, love. She said, “this shooting was due to an unforgiven grudge,” a targeted shooting toward one man in particular within a family clan. That clan is planning a gathering at our church this weekend. Please pray for love to reign in this place where a shooting took place last weekend. The audio above states what we want to say for now: blessings, prayers, support, love for and to the Hmong community. 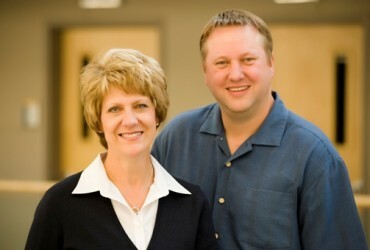 We also want to thank all those in our church and community and the nation who have been praying for us here. We feel and value your prayers and know the Holy Spirit is working through us as we seek to respond in ways that Christ would want us to respond, not with fear nor with hate but with love for all, including those who try to do us harm. I’ve written and co-written many books, but I’ve never seen people buying armloads of my books. In the last two days in Tulsa and Edmond I have seen and appreciated people carrying 6-8 copies of Lay Down Your Guns to give to family and friends. Perhaps the reason is that several of those carrying books are family and friends of the doctor or mine. Or perhaps it’s also because the story of Dr. Amanda Madrid is a universally relevant and inspiring story. I suppose it’s a mix of both, but as the book moves out of the concentric circles of my closest family and friends, readers I’ve never met and who do not know the doctor still find the story resonates with them. Thank you to all who came to the book signings in Tulsa at the Rock Cafe (next to Gardner’s Books) and Edmond signings at Half Price Books and at the Oklahoma Christian University campus. Books are still available at those three locations: Gardner’s Books, Half Price Books in Edmond, and OCU Bookstore. When cartels traffic illegal drugs through the mountains of central Honduras and destroy the work of medical clinics she has established, Dr. Amanda Madrid goes toe to toe with the cartel’s paid mercenaries, the doctor in her signature red high heels and the soldiers in combat boots. This is the story about the life of a Honduran doctor heartbroken about the many killings and bad medicine of cartels. Can the same kind of love and prayer she gives her patients also cause these violent men to lay down their guns? John Steinbeck is one of my favorites — How about you? John Steinbeck is one of my favorites and very influential to me. I found the below quote to confirm my own experience and my hunch that good and average writers go through these kinds of excruciating thoughts in the writing and re-writing (and re-re-re-writing) process. The book Steinbeck was writing was “The Grapes of Wrath,” the story of the Joad family leaving their failing Oklahoma farm at the nadir of the Great Depression for the chance at a better life in California. The novel was published in 1939 and — Steinbeck’s gloomy prediction notwithstanding — has been a landmark of American literature ever since. It has never been out of print and served as the basis of the Academy Award-winning film by John Ford that starred Henry Fonda as Tom Joad. via Journey to celebrate Steinbeck anniversary – Tulsa World: News. Tristan Anderson is a member of Garnett Church of Christ, a great young man, and a great football player. In a recent game he had three sacks, which is really good and more than many defenders may have in a whole season. In this interview, he did a great job. I’m very proud of Tristan and I know without doubt his father, Rusty, and the rest of Tristan’s family is proud. In the interview, I particularly liked the parts where he talked about his Dad, when he answered questions about his future in broadcasting and the guys wanted to give him advice, and the part where Tristan told about the national anthem drill. Don’t Call This 12-Year-Old Concert Pianist A Prodigy : NPR.